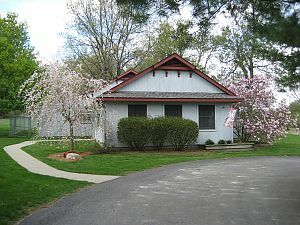 Maple Lane Kennels is a beautiful, architecturally designed facility built in 1985. 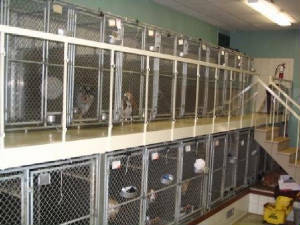 The grooming facility and cat room were added on a few years later. Our facility is located in rural Brandon Township, on the northern edge of Oakland County. We are situated on 7 acres of mixed wooded/meadow property. A two-tiered kennel, with the small kennels on the upper tier, and large kennels on the lower level. The little dogs love being upstairs, where they can look down and watch what’s going on. Not a “one size fits all” kennel! 4,000 square foot outdoor play yard. Outdoor runs are covered and enclosed with a security fence. Concrete, well sanitized floors that are heated indoors. A bright, sunny cat room, where each cat gets to come out for play time.